This bright, spacious and modern condo is located in the heart of downtown Canmore. With 1017 square feet of living space it offers two bedrooms, each with queen size beds, as well as a queen size sofa bed located in the main living area. The property is located one block from the main street and is within walking distance to a wide variety of restaurants, shops, and local activities. It is across the street from a major grocery store and coffee shop. This intimate space is equipped with a full kitchen including stainless steel appliances, and reflects a warm and cozy atmosphere with all the comforts of home including a natural gas fireplace. The private balcony on this top floor unit provides stunning views of Canmore's prominent south side peaks and is equipped with chairs, table and a barbeque. This unit has in-suite laundry and a gear storage area making it perfect for any mountain adventure or relaxing getaway. In addition, the building is complete with secure entry and an elevator. We are a young family that wanted a place in the mountains near Calgary so we wouldn't have to drive for hours to get away from it all! We love hiking, biking, snowboarding and cross country skiing, and this area has it all! We love that we can basically hop in our vehicle without having to pack our whole house with us. Everything we need is here, and we are so close to stores that we can walk out our door and get the groceries we need for our stay. This condo was the perfect rental for our trip to Banff! Great location and close to the national park. Had all the essentials and was very comfortable. The owners were great to work with and quick to respond. Would definitely rent here in the future! This condo was right in the heart of Canmore a short walk to grocery stores and downtown. The condo is in a secure building with its own parking space. It had everything we needed for our week stay. The owners even provide a park pass, bear spray, and an ice chest to use while enjoying the nearby parks. It is also well equipped for cooking and has a full size washer/dryer. Everything was just perfect. Awesome Condo with a Million Dollar View! Fantastic place to stay!!! Our group was made up 5 adults. The condo was clean, quiet, and comfortable, felt like home. The view was stunning. It is in a great location, within easy walking distance of most amenities. While there we ate at Le Fournil Bakery, Chez Francoise Restaurant, Rose and Crown Pub and Santa Lucia Italtian Restaurant. All very good! Kendra was very easy to work with. We would not hesitate to stay there again and would highly recommend! My husband and I stayed in this condo for a recent Banff National Park vacation to celebrate our 10 year anniversary. We had never been to the area for, and ended up being very glad we found a place in Canmore! The location can't be beat, especially when you consider the cost difference between staying within the park. The condo itself was very comfortable and in great condition--everything was exactly as described. The views of the surrounding mountains were just what we wanted as well. The owners were also very responsive and provided excellent instructions and details to make our stay that much easier. We will definitely look for this condo in the future whenever we make it back to the area again! We've stayed in Canmore several times, but have found that this location is the absolute best. It's so close to downtown, coffee shops, and grocery stores that you can easily walk everywhere. My family of 5 was very comfortable here and really felt at home after a day of skiing. The property is well maintained, and had everything we needed in the kitchen to be able to prepare our own meals. Kendra was very responsive. Thanks so much for sharing this gem with us! We would definitely recommend it and hope to come back sometime. Kendra was great in getting us setup and squared away for our extended weekend trip to Canmore! The unit was in great shape and made for a cozy home base as we enjoyed the beautiful mountain weather. We would definitely consider the Mountain View Lodge for future trips! 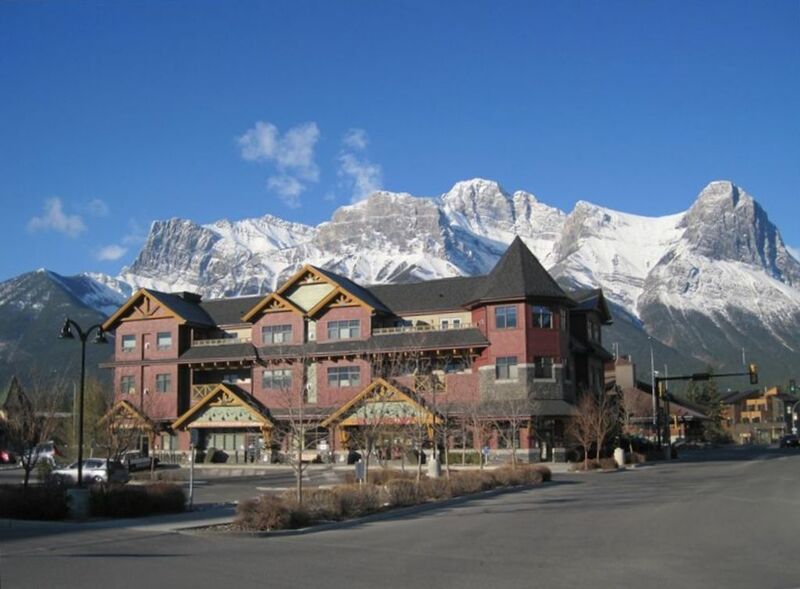 Walking distance to all the best shops and restaurants Canmore has to offer. Great walking trails across the street.